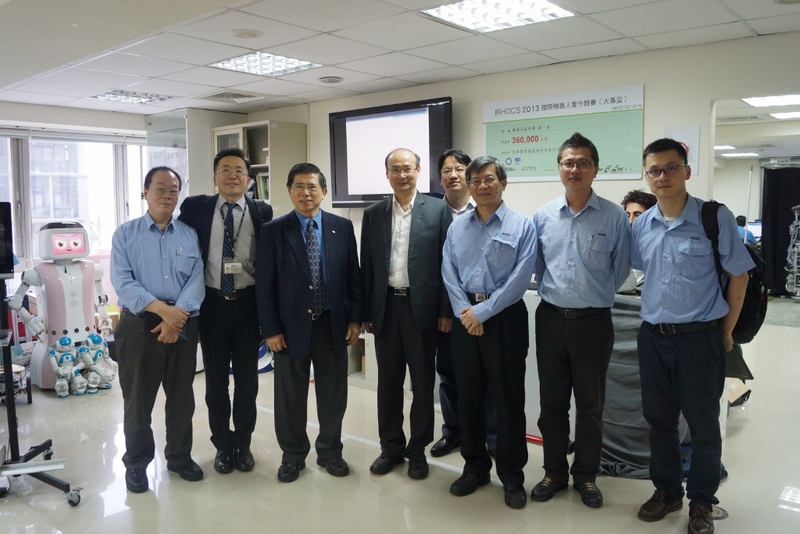 2013.12.10 Johnson Health Tech. 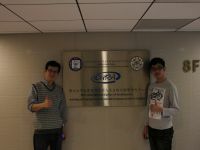 Co., Ltd and Intellectual and Automation Industry Promotion Office. 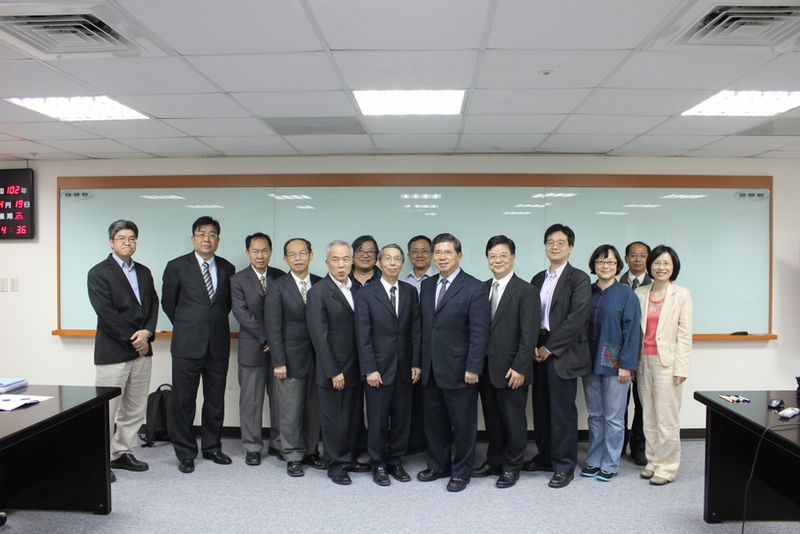 2013.12.05 National Instruments Corporation and K-Kingdom Co., Ltd. 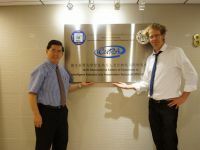 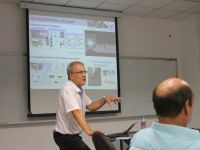 Professor Ken Goldberg, who comes from University of California, pays a visit to iCeiRA. 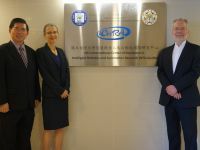 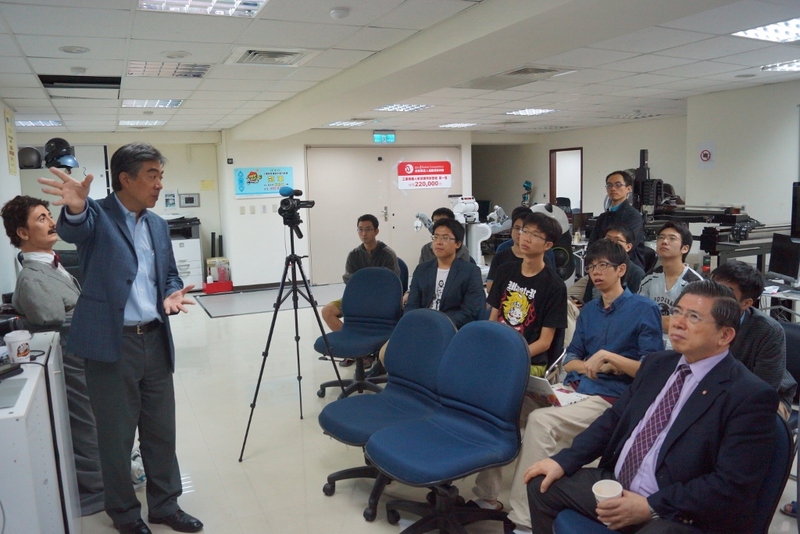 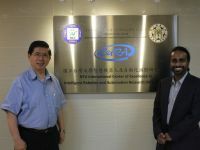 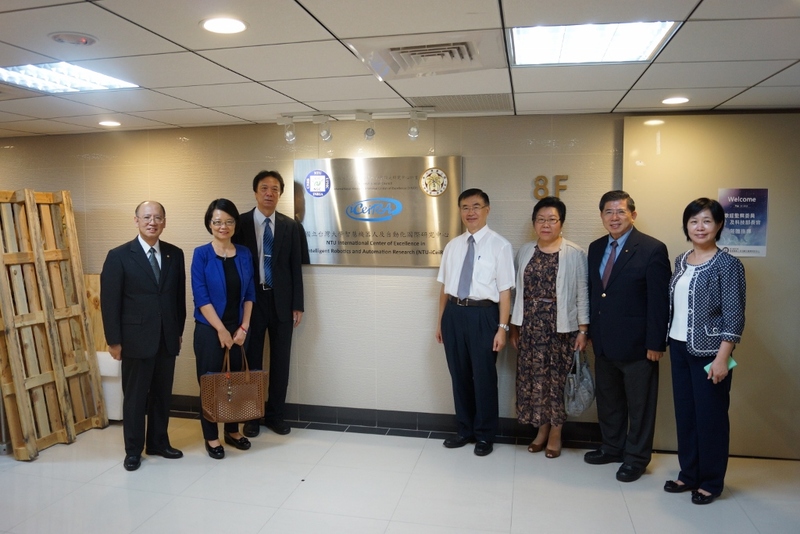 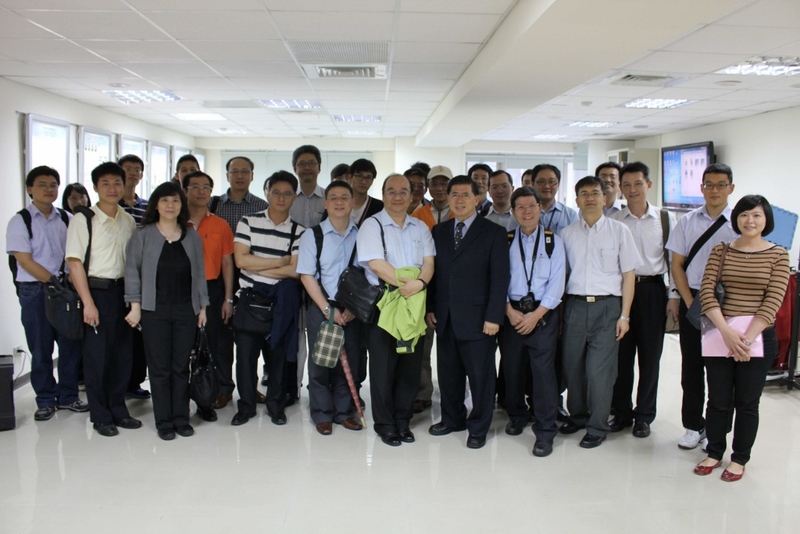 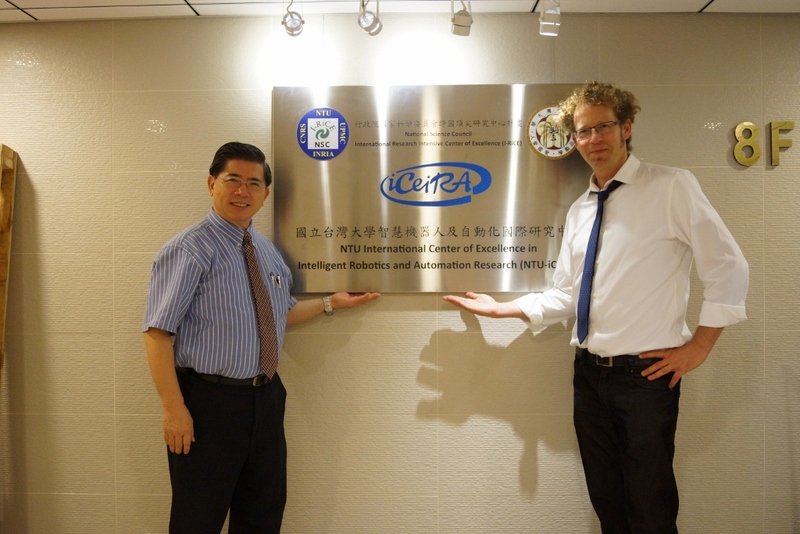 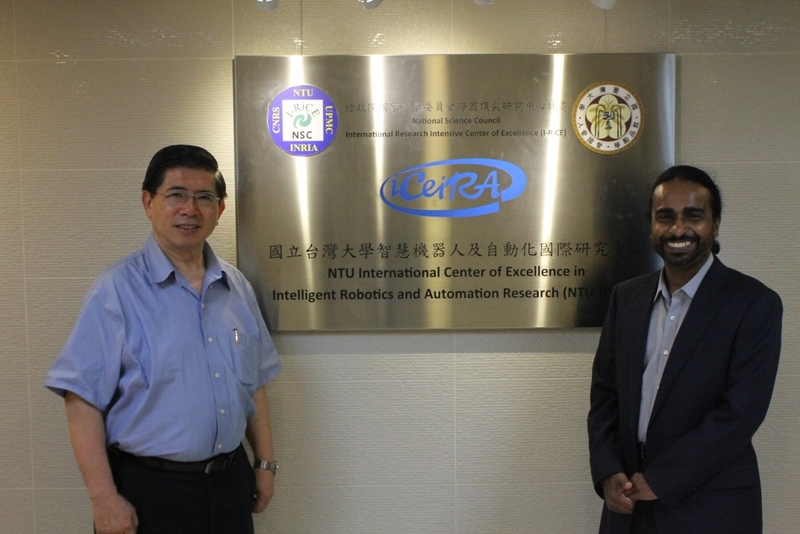 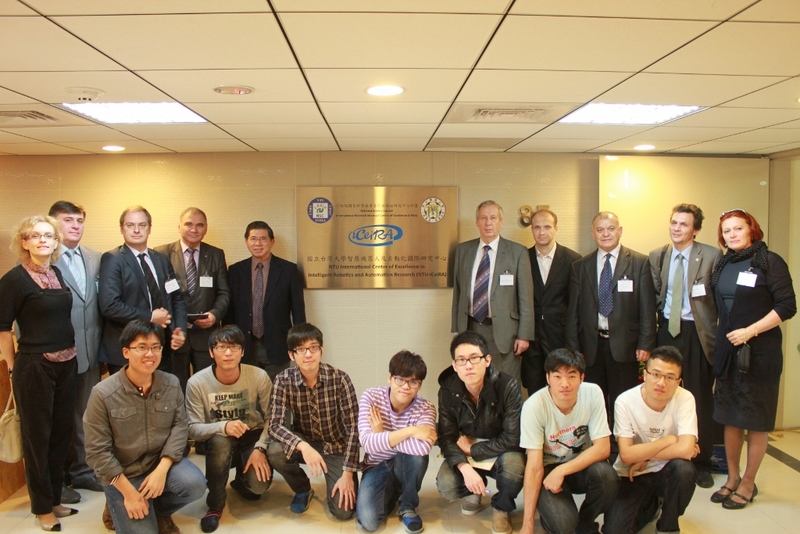 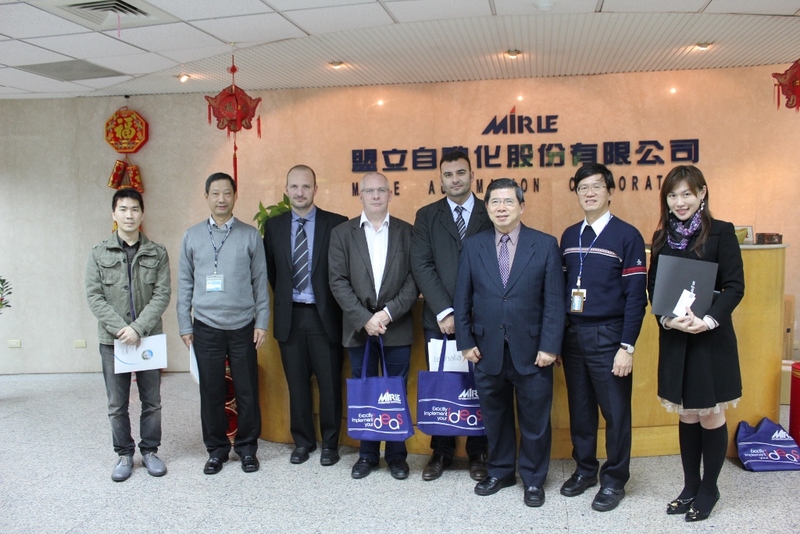 Industrial Technology Research Institute and Industrial Development Bureau, Ministry of Economic Affairs visit iCeiRA. 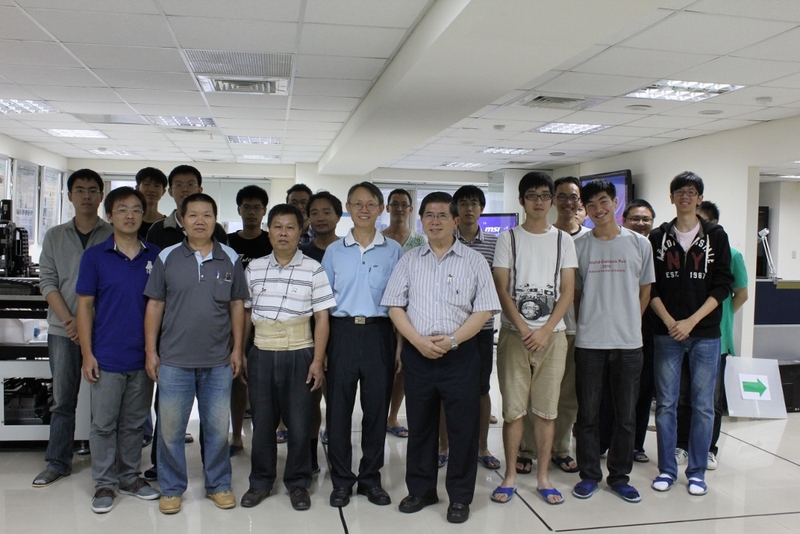 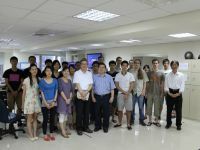 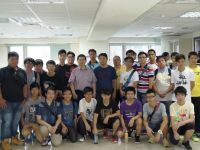 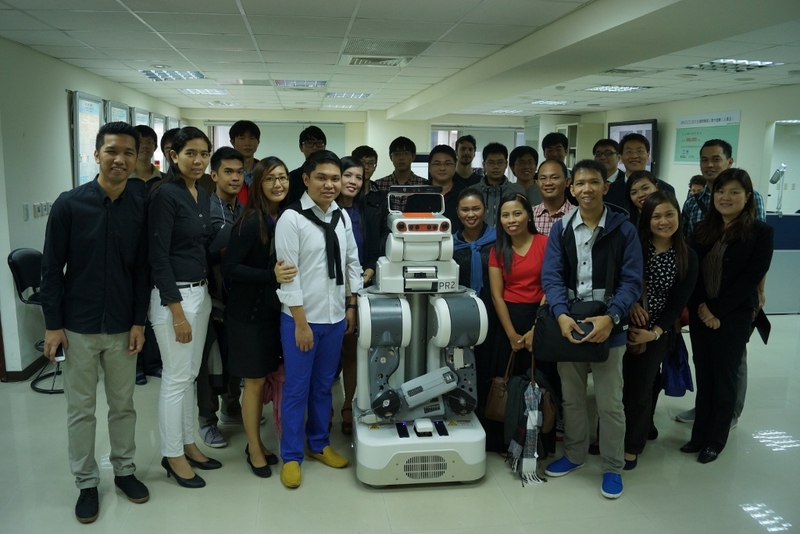 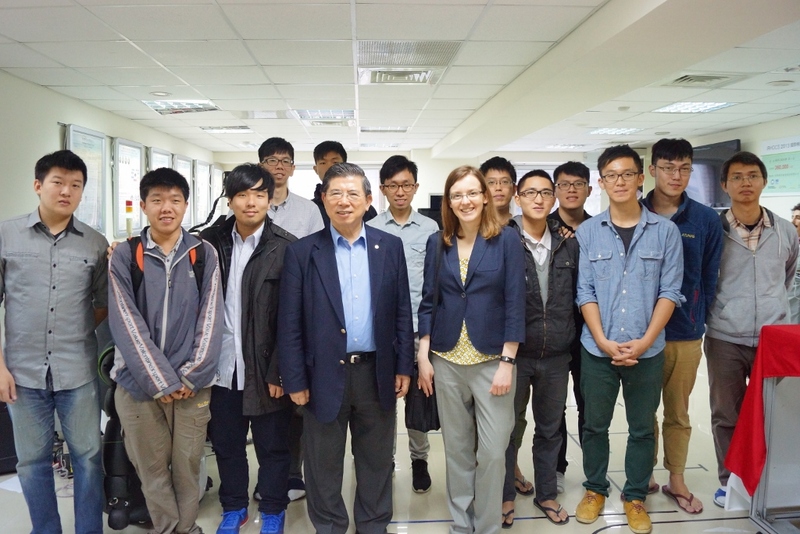 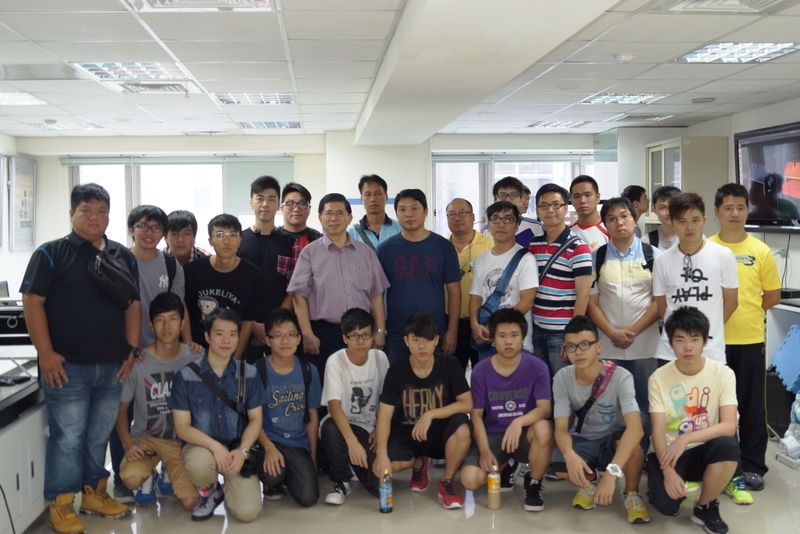 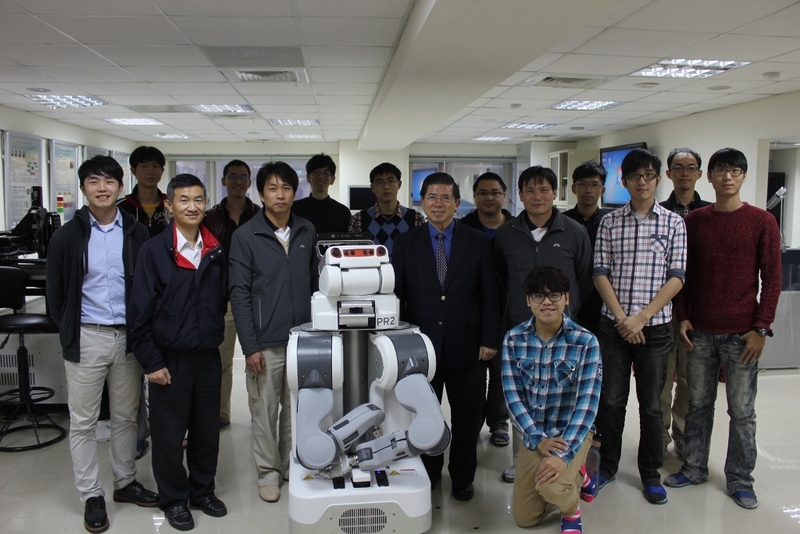 After participating 2013 IRHOCS International Robotics Hands on Competition and Symposium, University of Xiamen’s professors Shie, Huo Mu; Yeh, Jiun Jiun; Lin, Chuen, along with their students Li, Yen; Wei, Wen; Cheng, Chien; Pu, Shing; Yeh, Shao Fong; Shueh, Mao Sheng; Wu, Yang Boh; and Shao, Cheng Fei; paid a visit and exchanged notes with our lab. 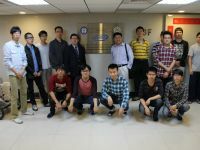 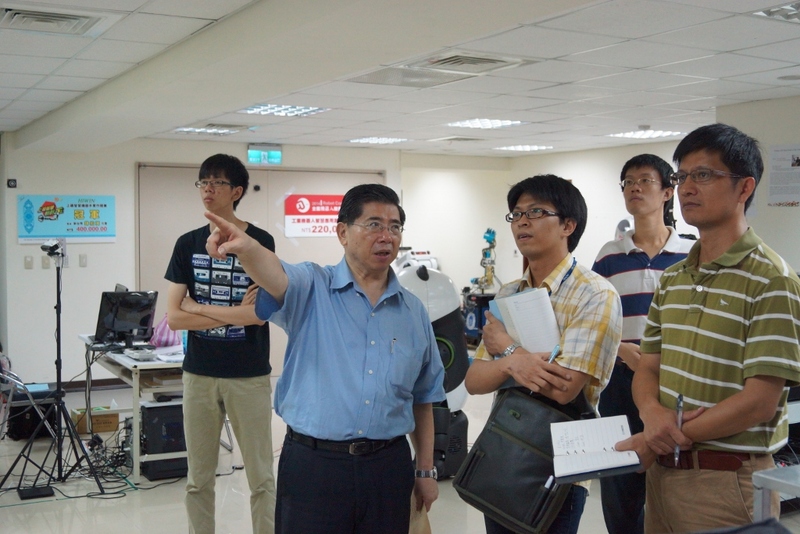 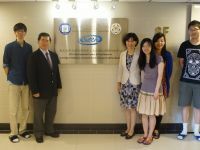 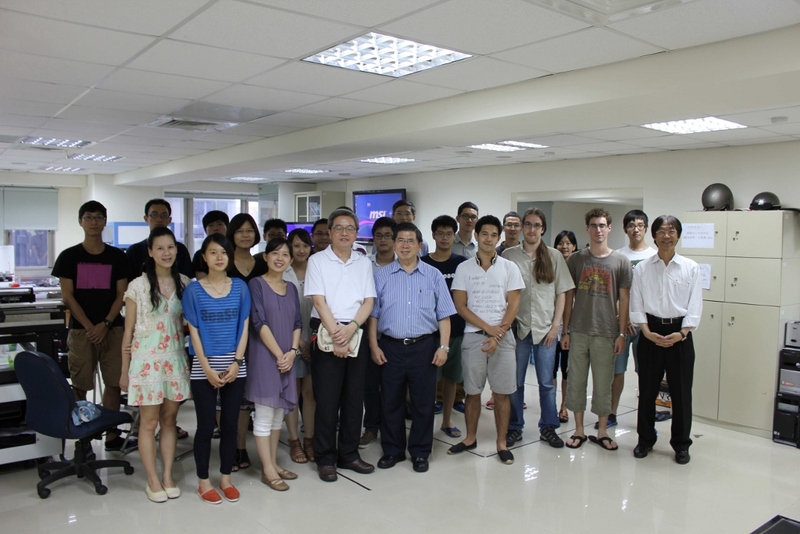 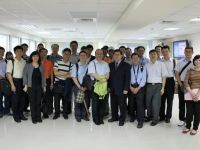 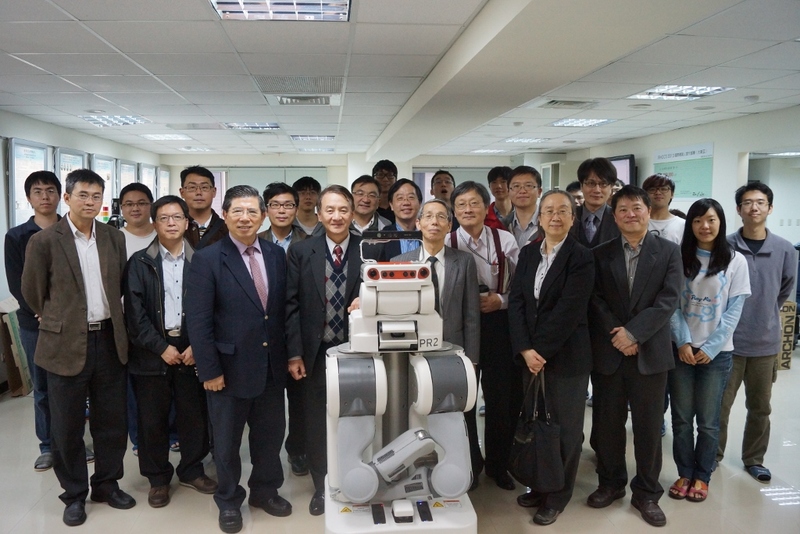 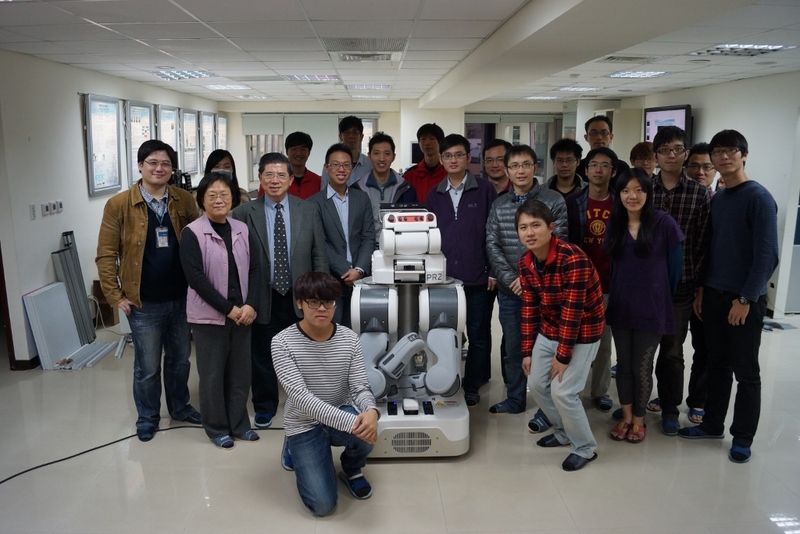 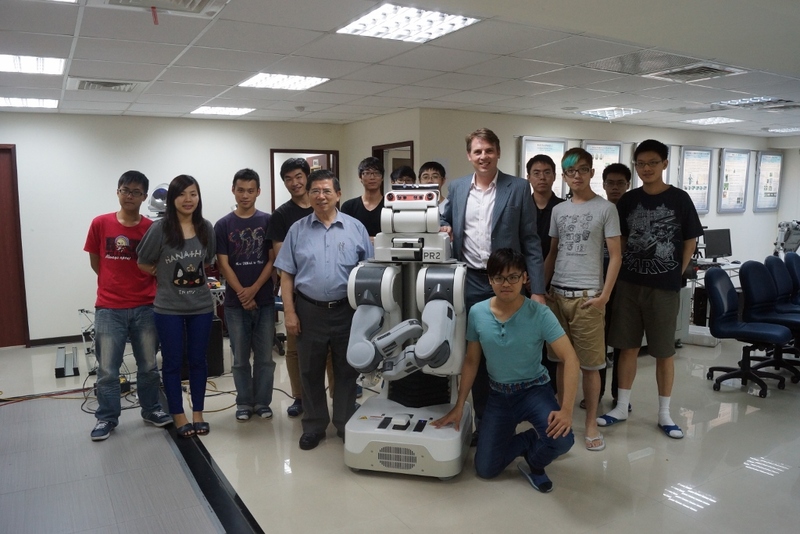 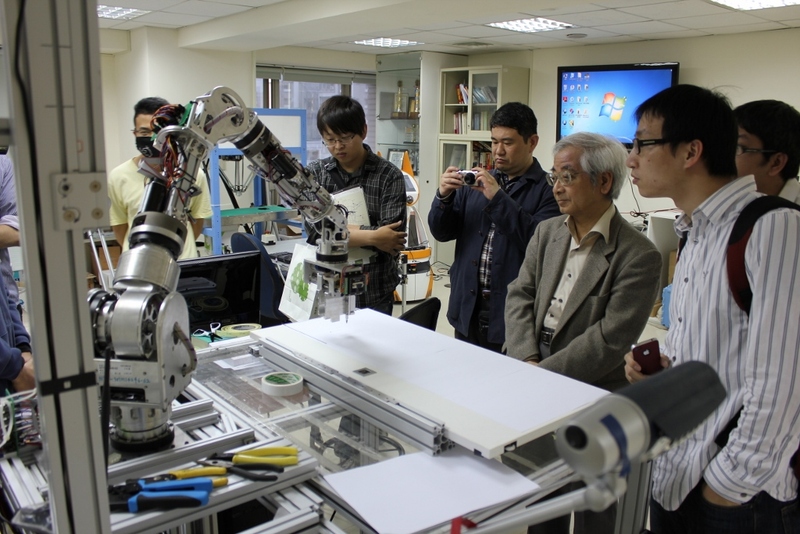 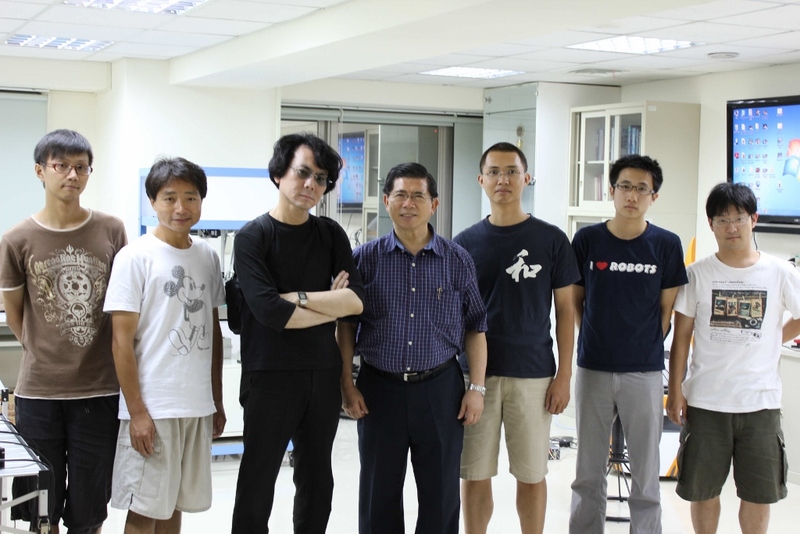 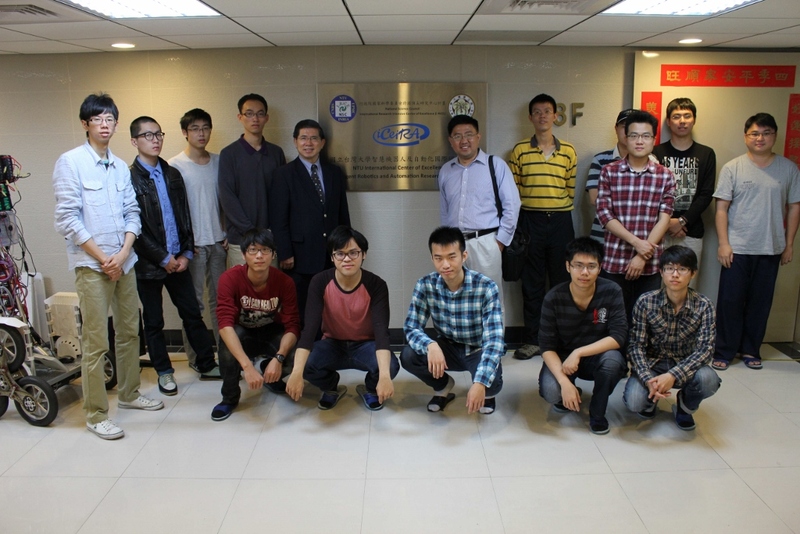 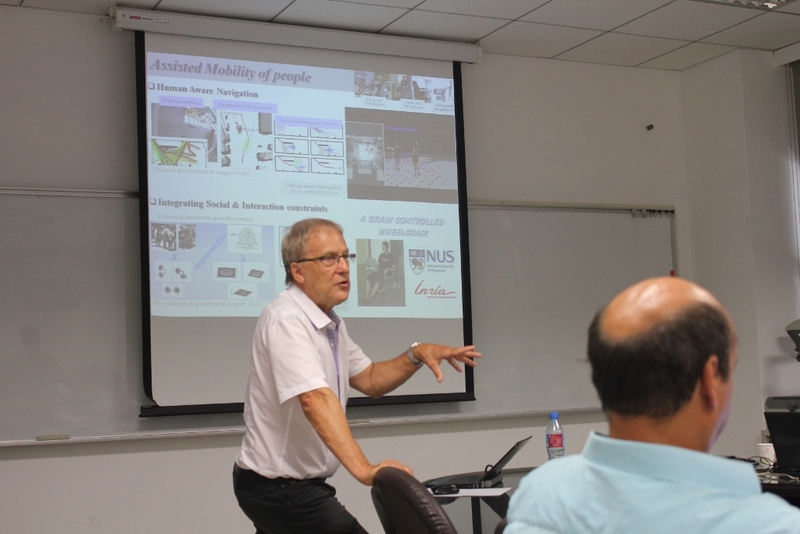 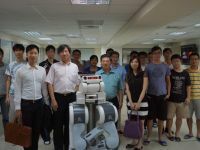 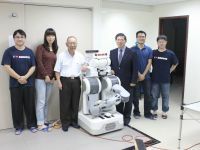 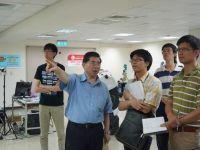 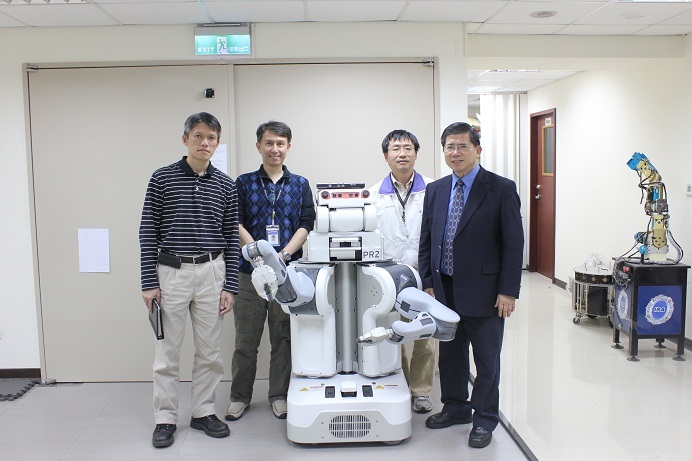 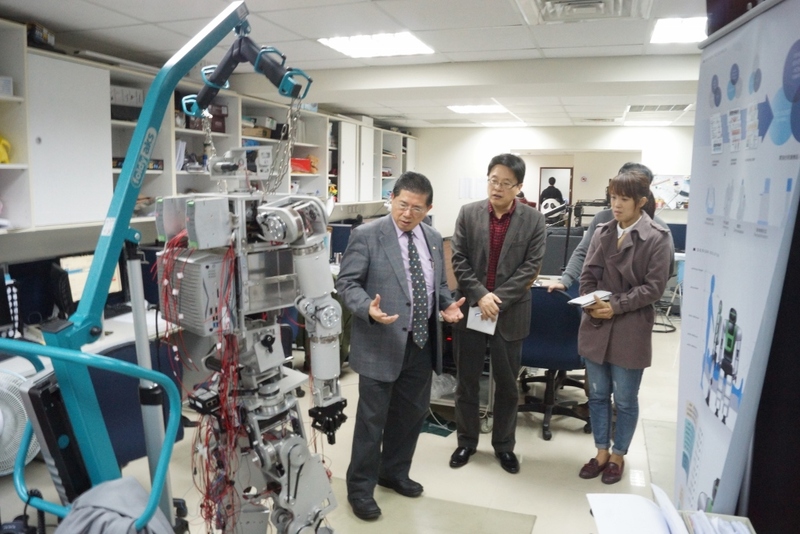 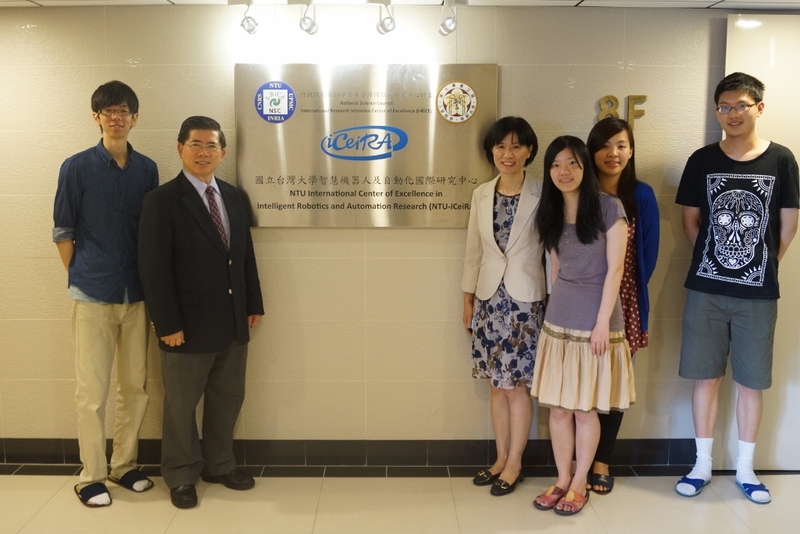 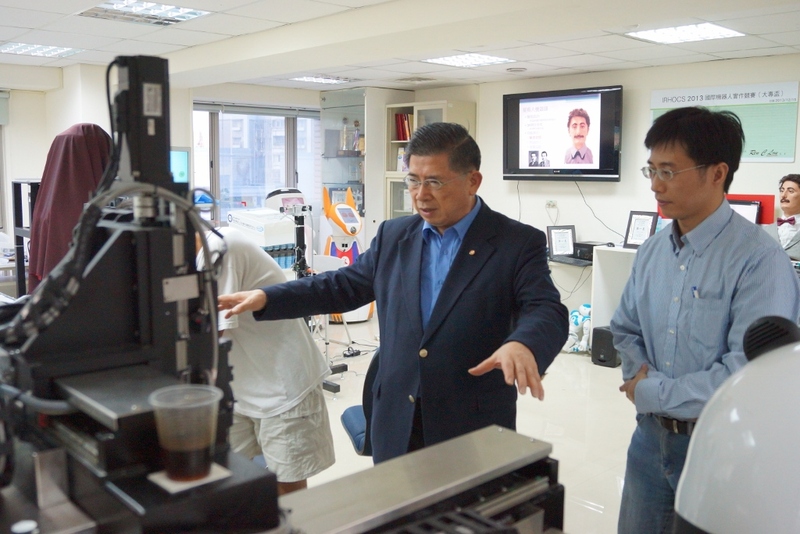 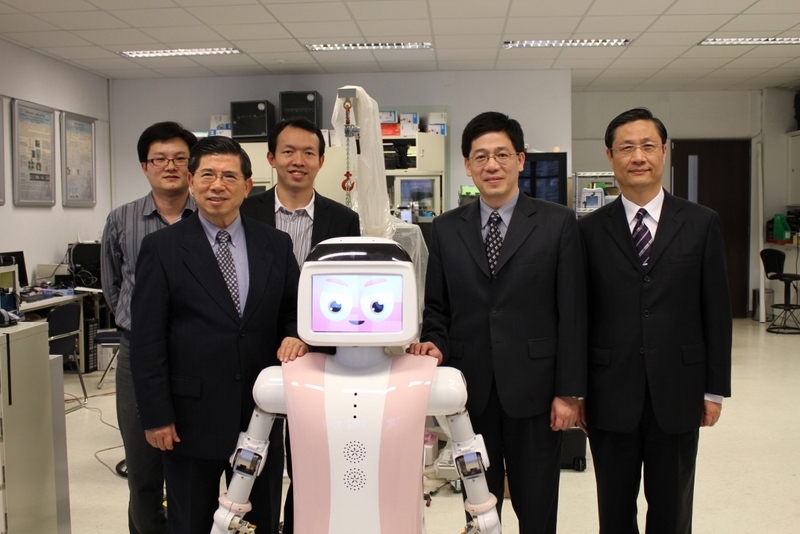 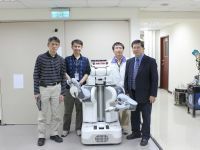 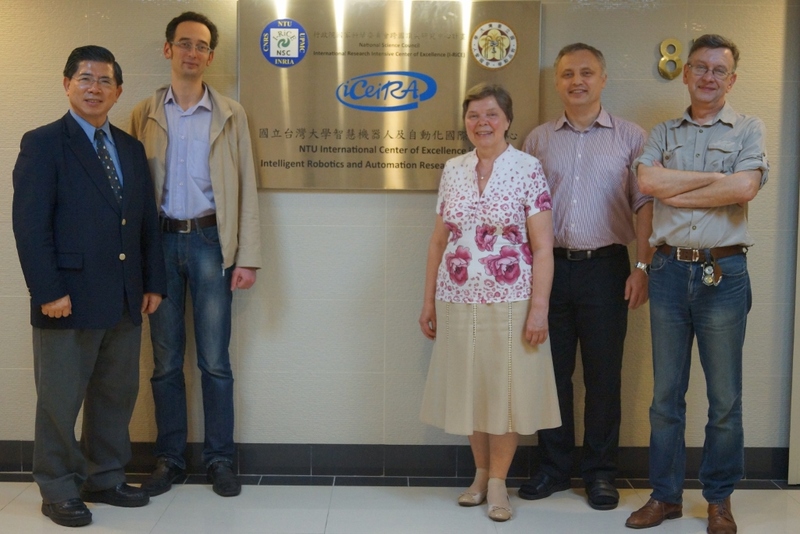 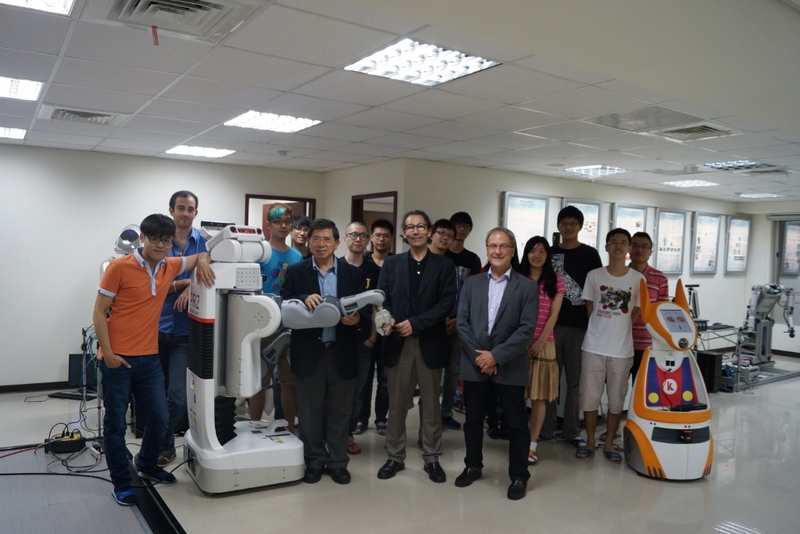 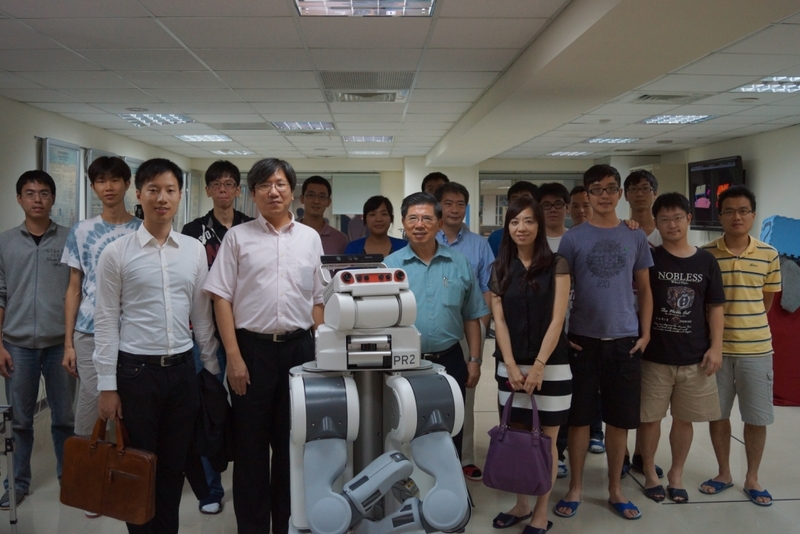 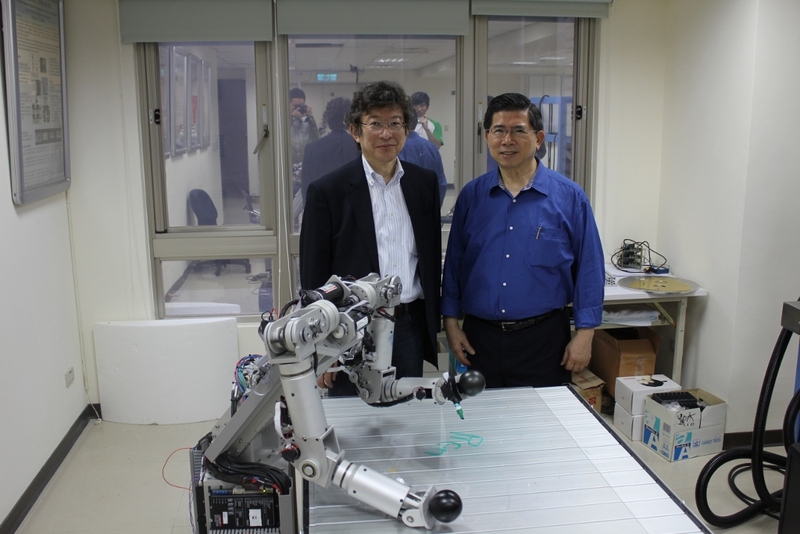 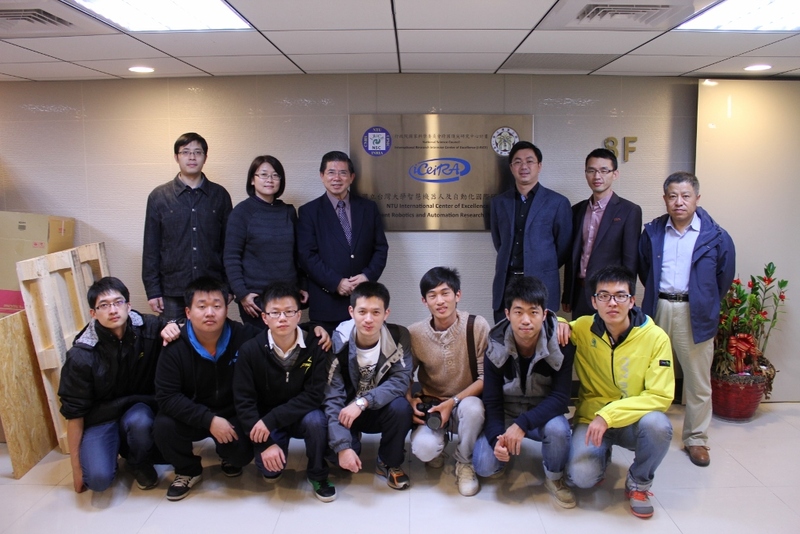 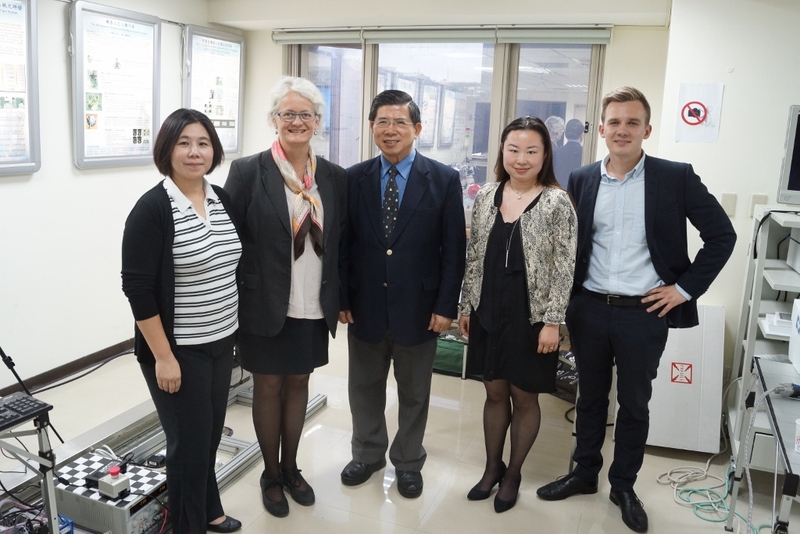 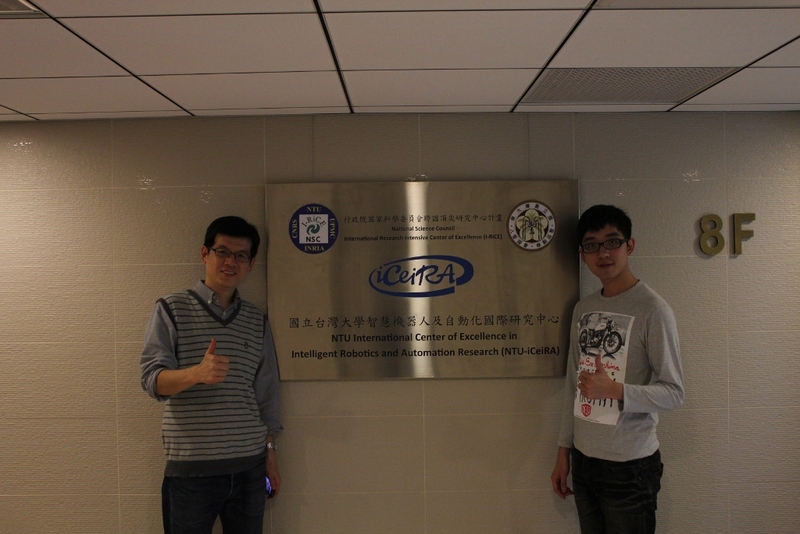 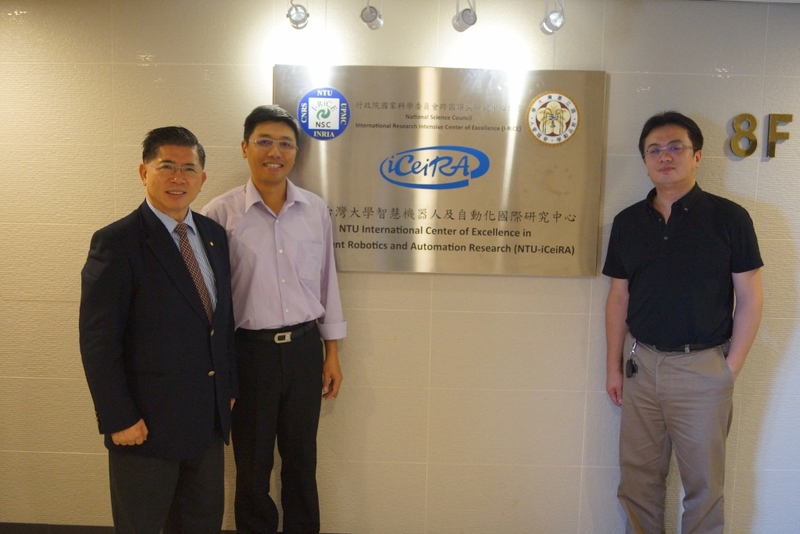 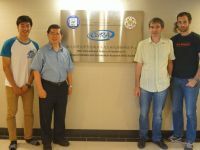 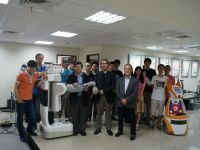 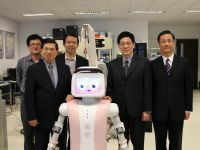 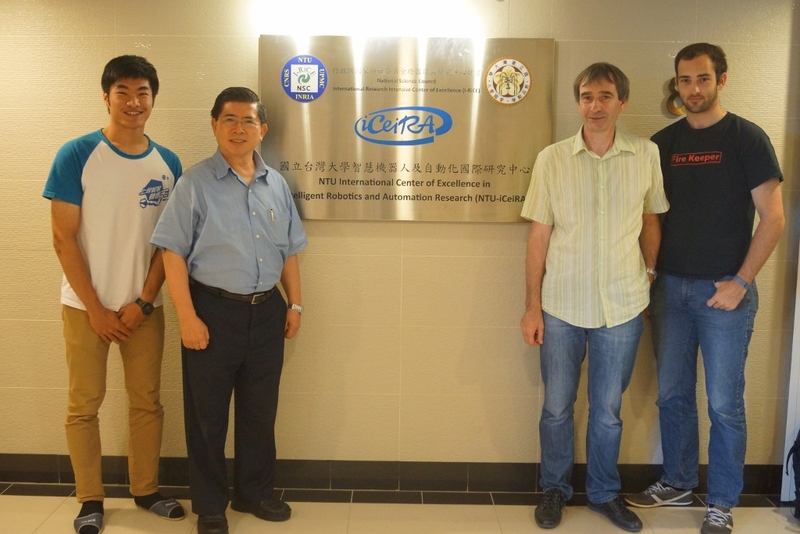 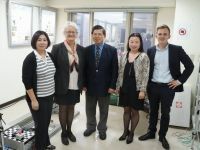 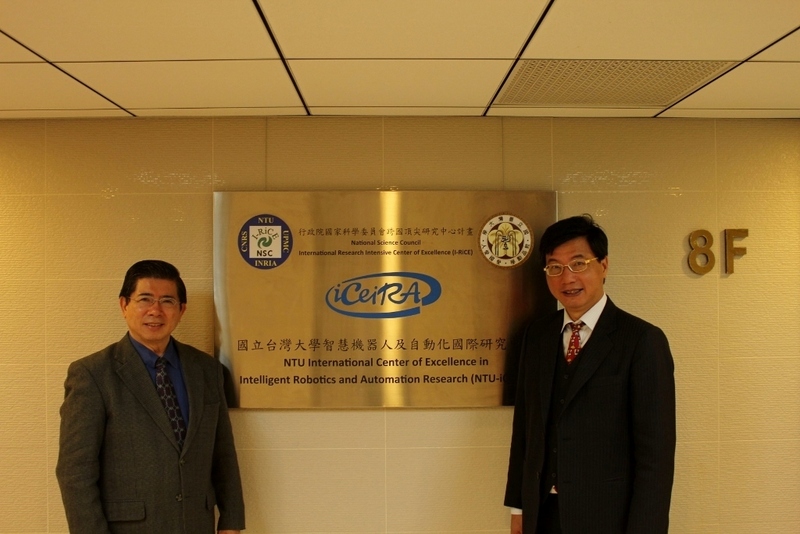 After participating 2013 IRHOCS International Robotics Hands on Competition and Symposium, Shanghai Jiao Tong University’s professors Jing Chuan, Wang paid a visit and exchanged notes with our lab. 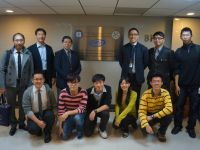 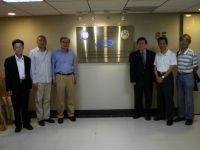 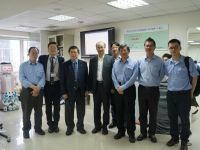 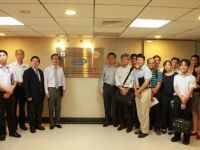 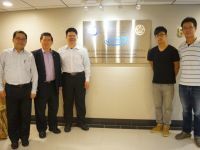 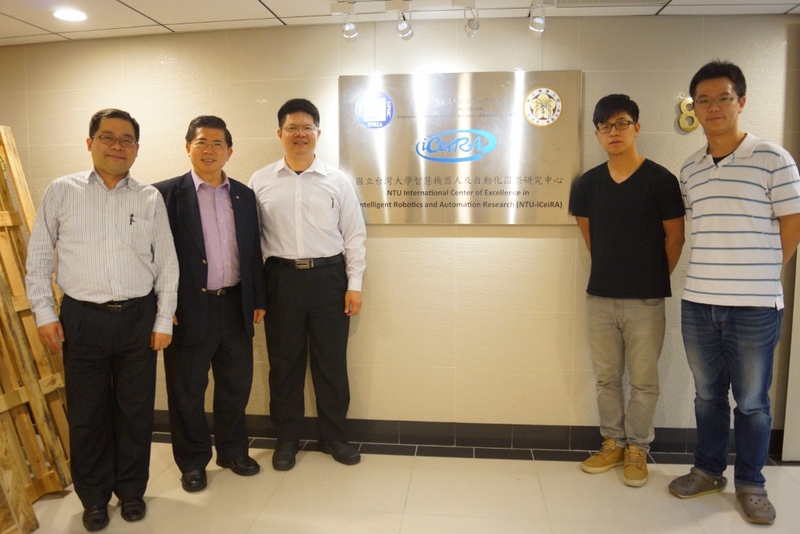 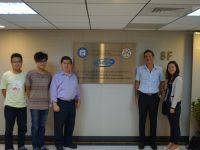 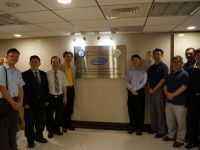 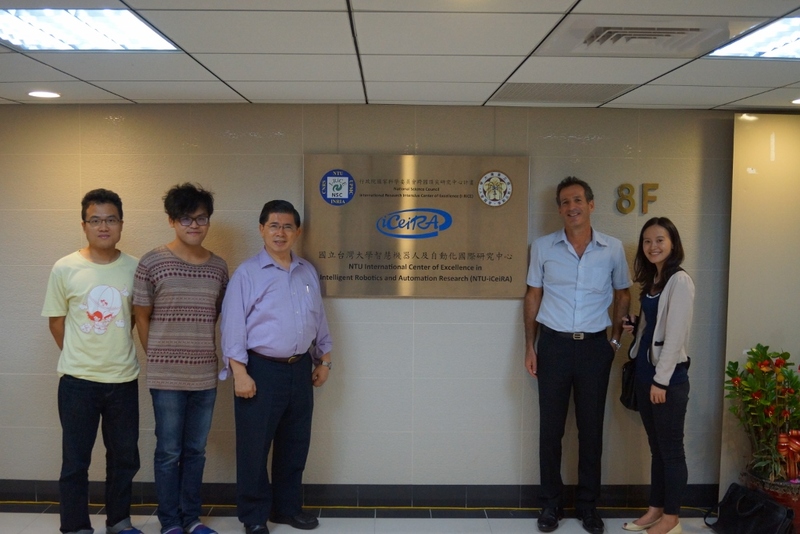 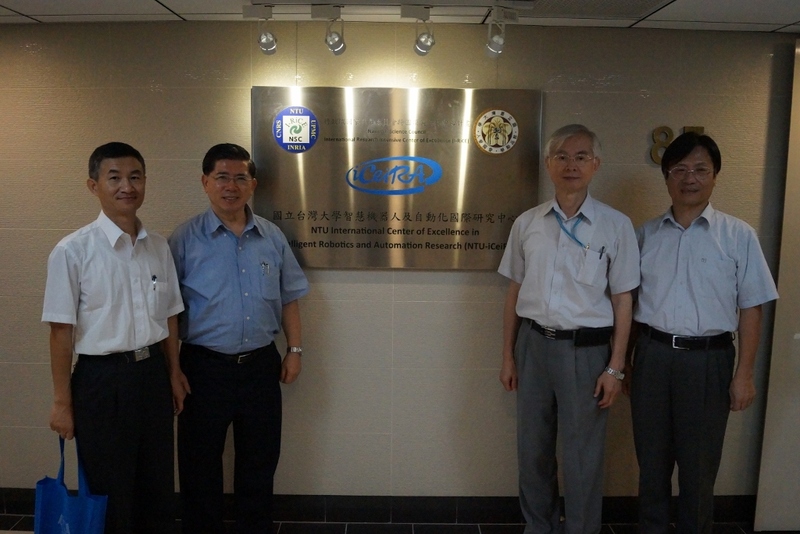 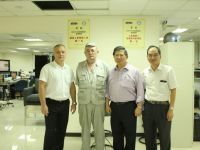 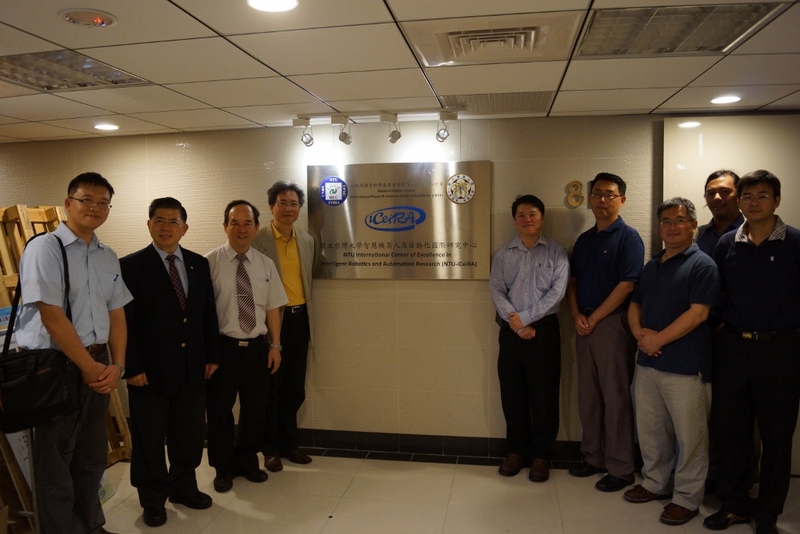 Ken, general manager of National Instruments Corporation- Taiwan, his colleagues, Johnson, general manager of K-Kingdom Co., Ltd and Mike, sales of K-Kingdom Co., Ltd, visit iCeiRA. 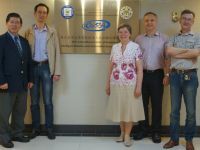 DemkinVladim, vice-rector for information, Dyomin Victor, dean of the faculty of radiophysics, RykunArtem, dean of the faculty of philosophy, EmerYulia, deputy head of information and advertising department, Skripnyak Vladimir, head of the department of physics and technology department, Korotaev Alexander, associate professor of the faculty of radiophysics, Prof. Troitskiy, Prof. Zmeev Oleg and AleksandrDuenkov, visit iCeiRA. 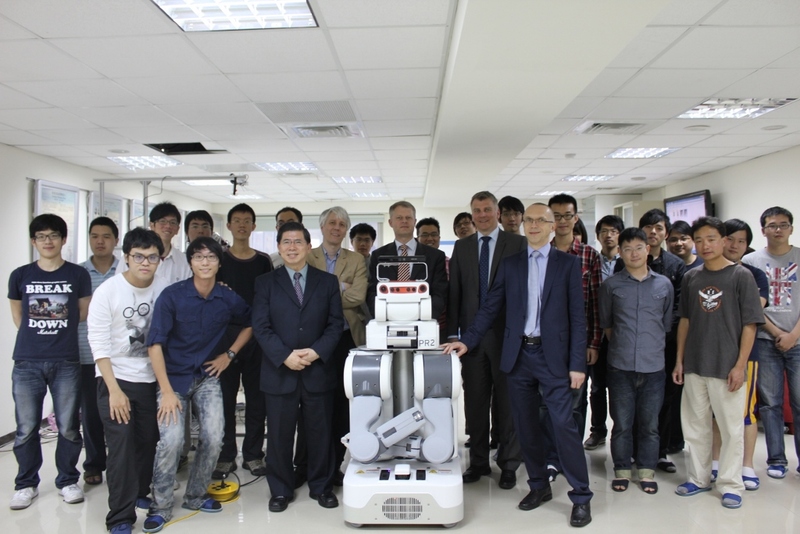 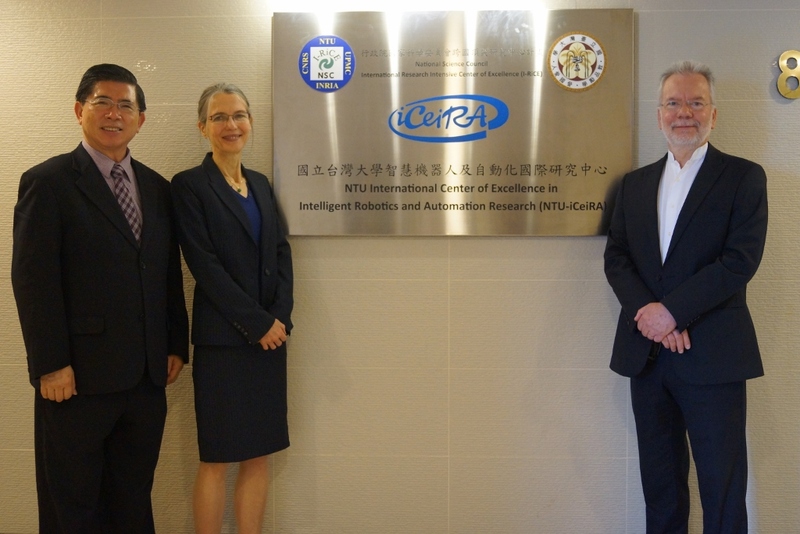 Former Prime Minister Edith Cresson, leading French senior official delegation, voluntarily requested Ministry of Foreign Affairs NTU for visiting International Centre of Excellence on Intelligent Robotics and Automation Research (NTU-iCeiRA) on September 30th. 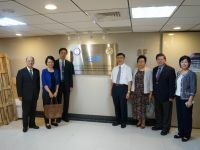 The visit of the delegation was meaningful because through holding the ROC-France technological cooperation round table conference, we were looking forward to restarting the dialogue mechanism on technology between Taiwan and France senior officials. 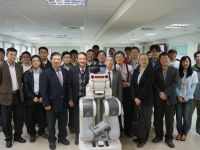 Moreover, the conference also could contribute to the entire promotion of technological cooperative relationship in industry, bureaucracy, studying and research. 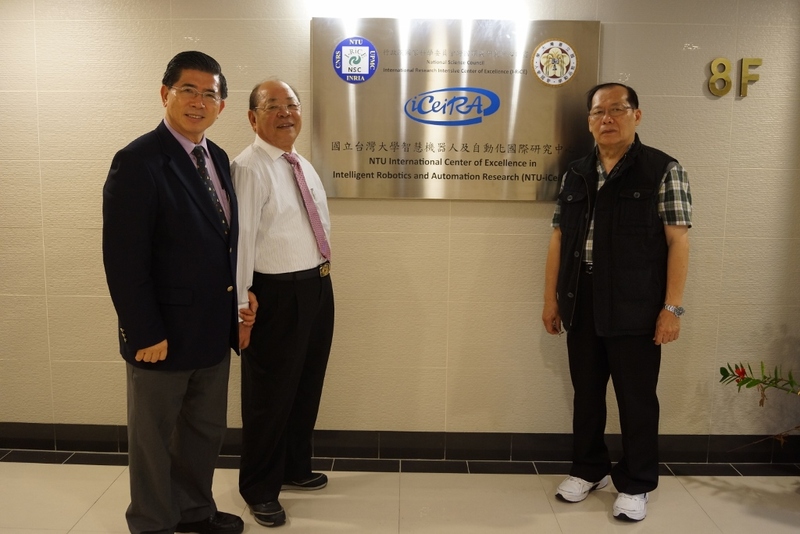 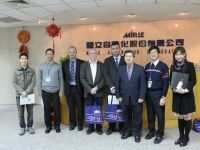 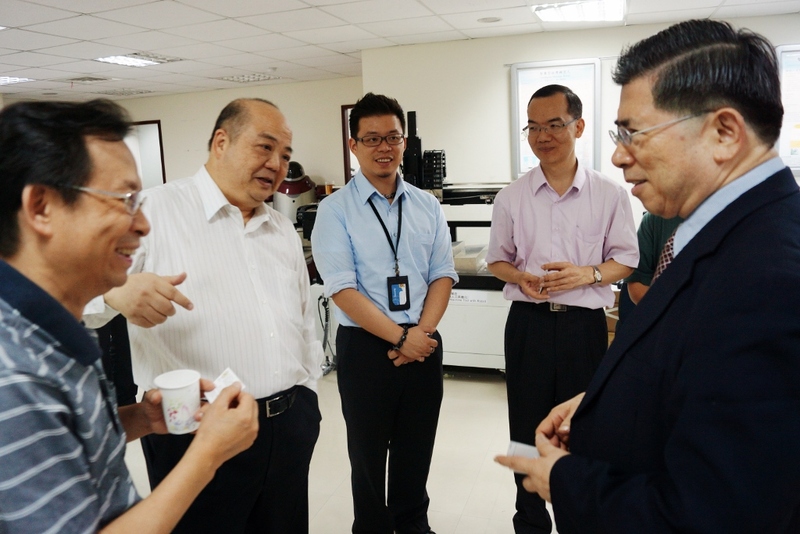 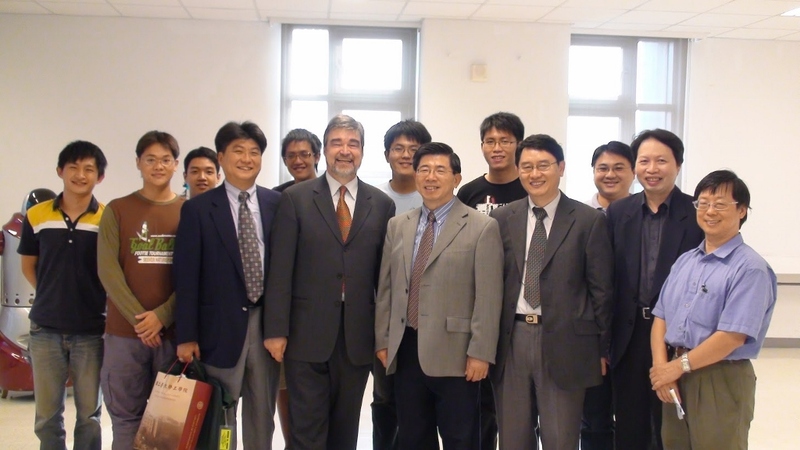 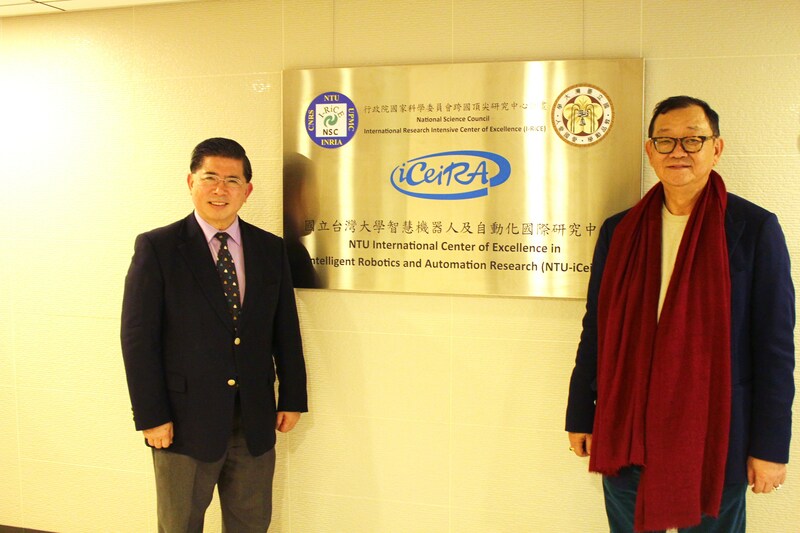 Mr. Liou, the President of MSTIEA (Macau Science and Technology Innovation Education Association) , Mr. Chen, the teacher of Kao Yip Middle School, Mr.Chou and Mr.Cheng, the teachers ofOur Lady of Fatima Girls’ School and many guests of honors visited iCeiRA. 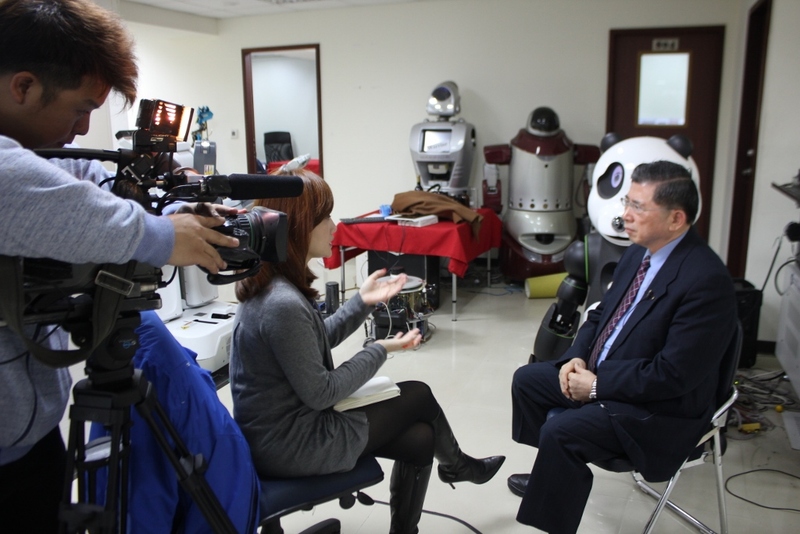 Interviewers：Wynn. 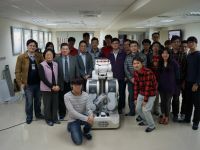 H.W. 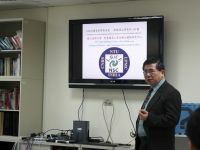 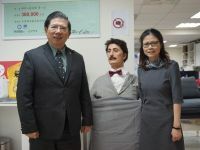 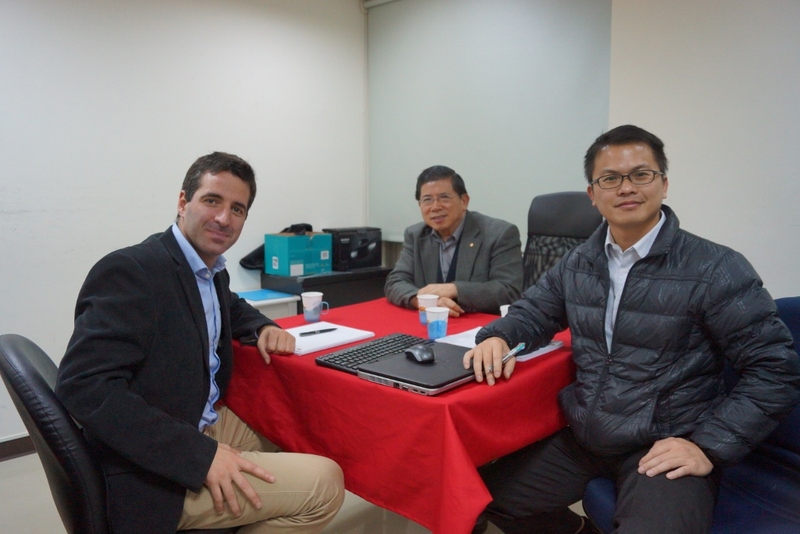 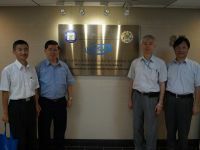 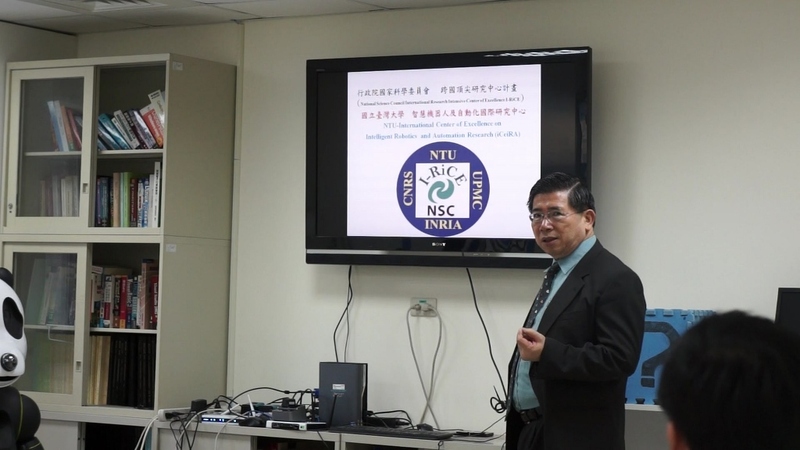 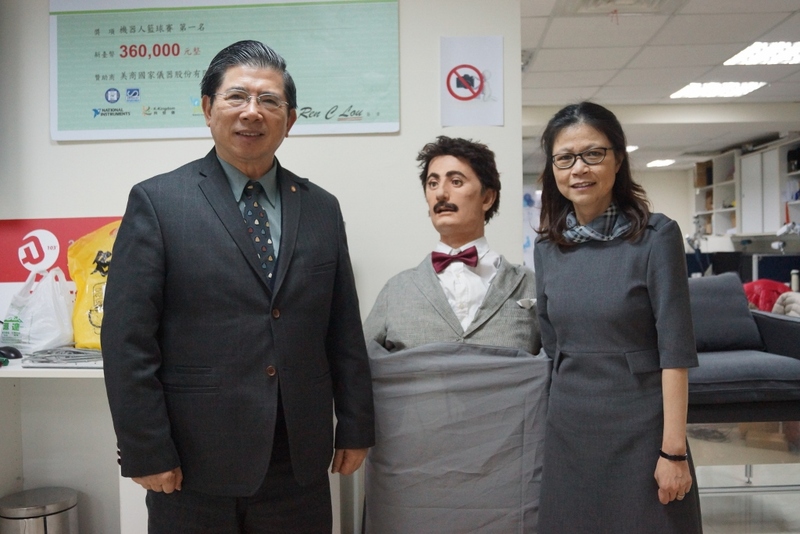 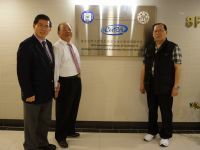 Yien M.D.,Ph.D./C.E.O ；Hui-Cheng Cheng M.D. 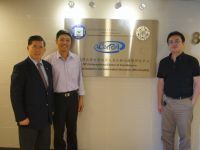 ；Chris Lu M.D. 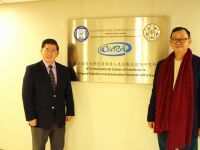 ；Kevin Chan . 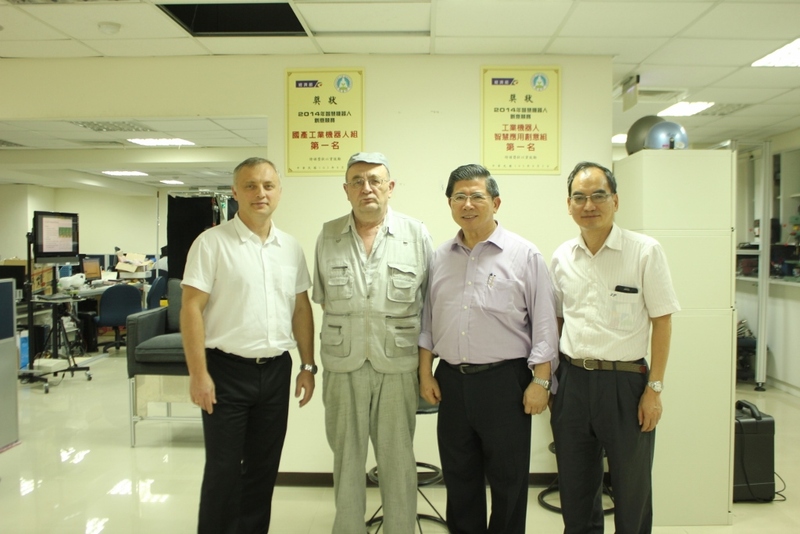 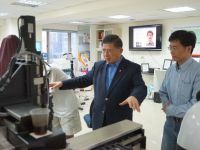 YongLin Healthcare Foundation ： Making a Difference in Fighting against Cancer. 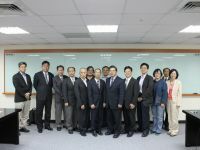 HIWIN TECHNOLOGIES CORP. 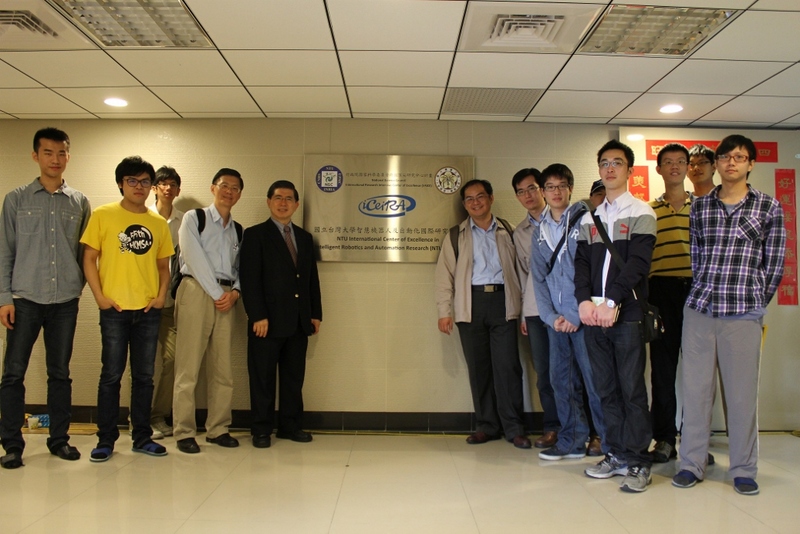 Established: October 1989 Founder: Eric Y. T. Chuo Employees: 3442 (Aug, 2011) Global Headquarters: Taichung, Taiwan To integrate global resources for continuous innovation, to provide a better way of life and a better working environment for mankind, to achieve the goal of continuous operation through practices of professional excellence, working enthusiasm, and enterprise responsibility. 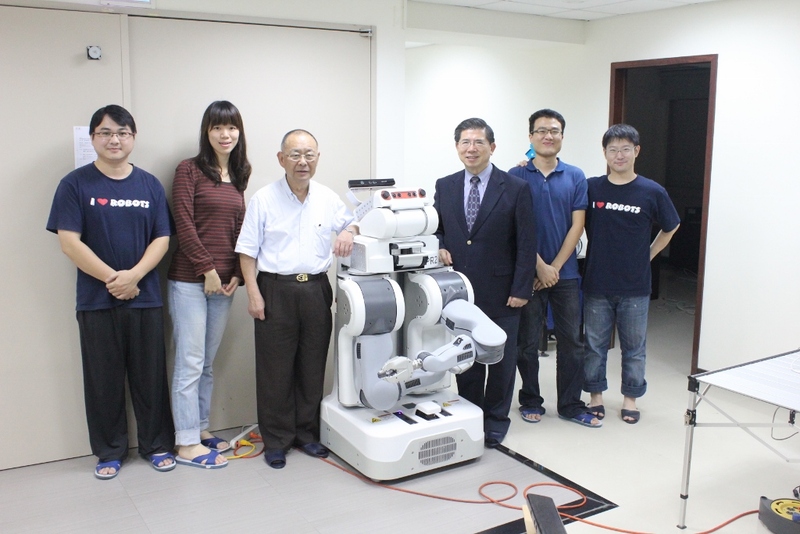 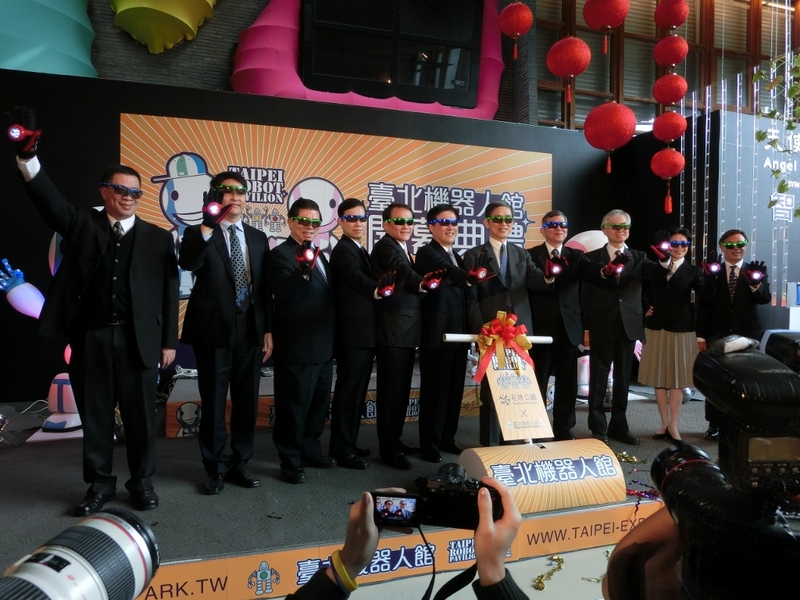 Taipei Robot Pavilion is opening on Feb. 6! 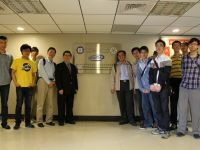 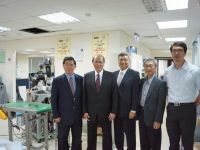 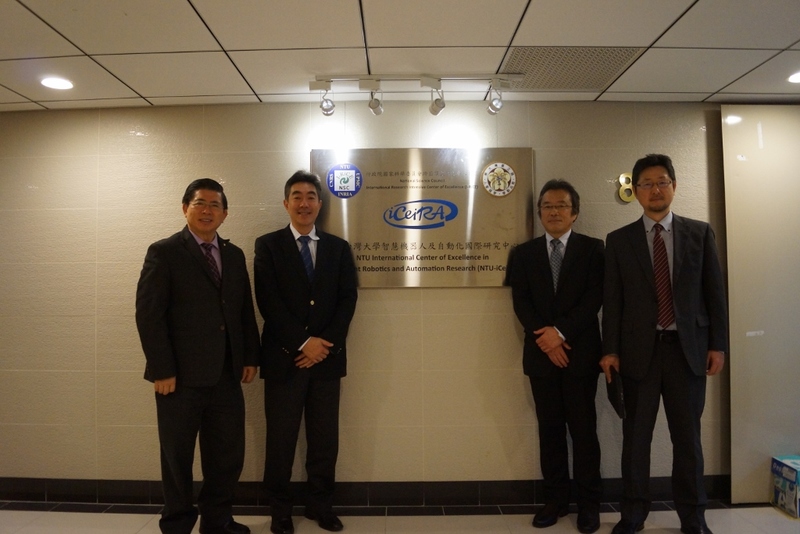 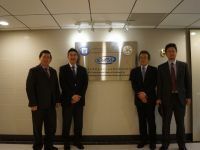 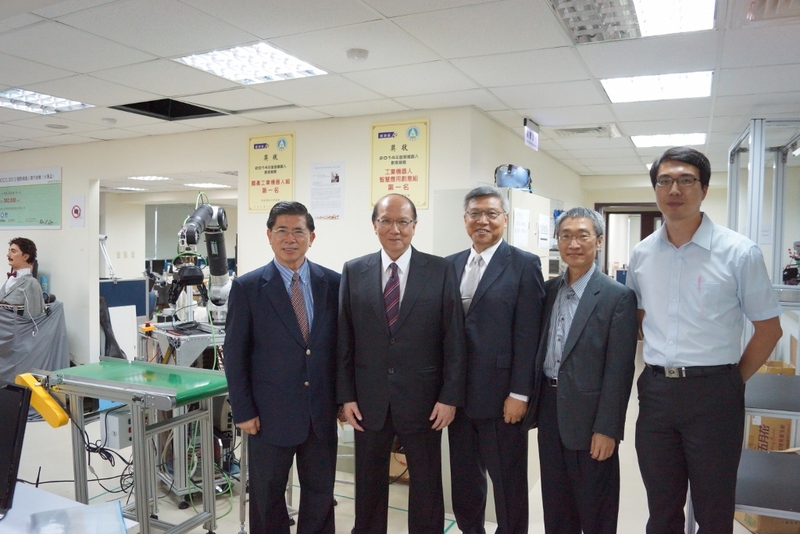 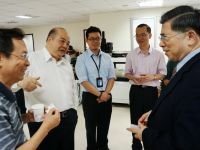 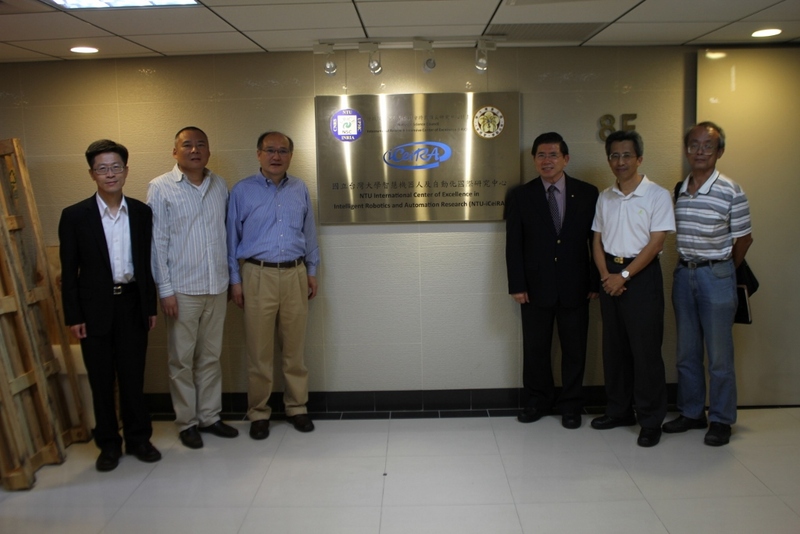 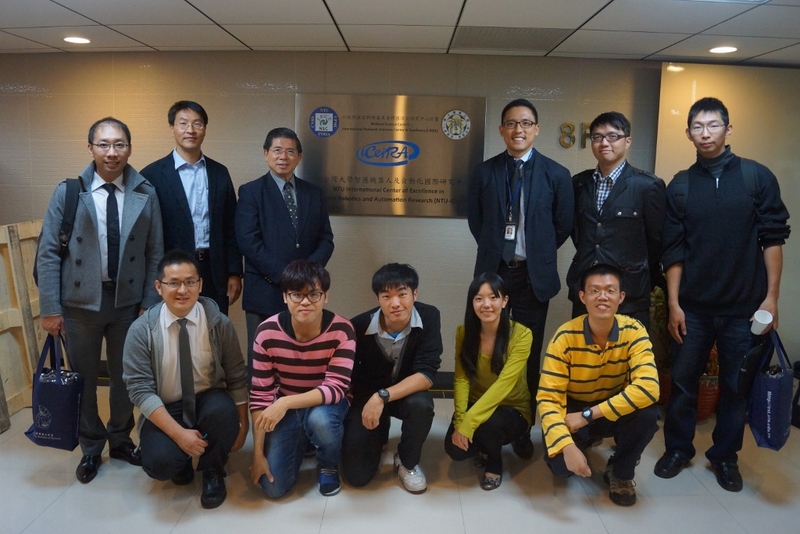 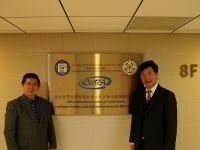 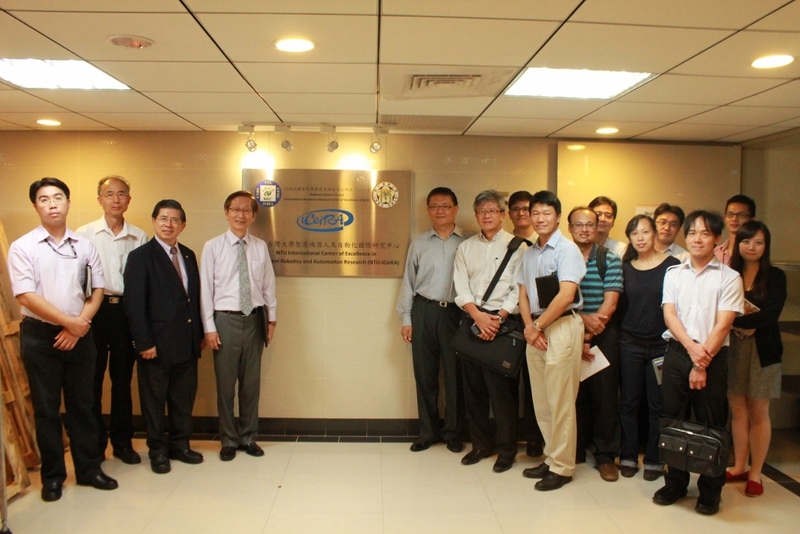 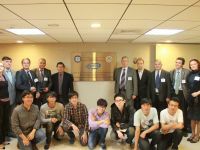 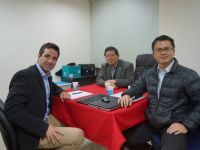 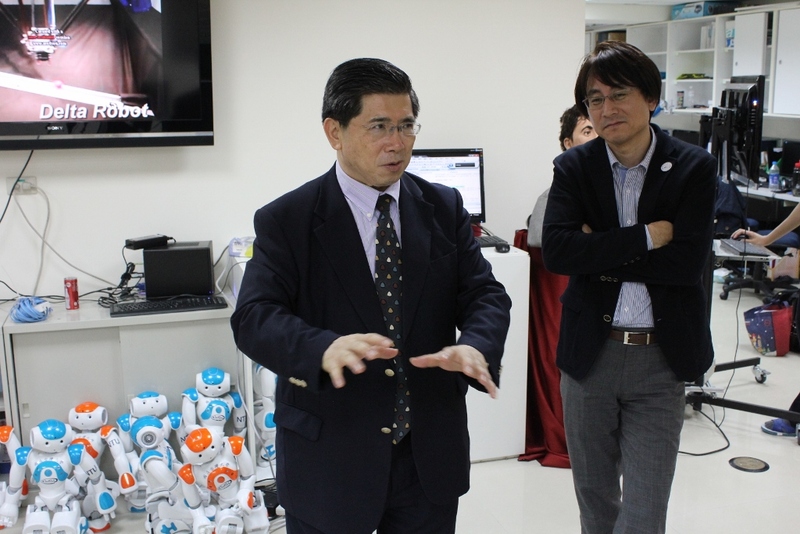 2012-Nov.19 Dr. Ma of Foxconn Visit iCeiRA and discuss for industry cooperation project.